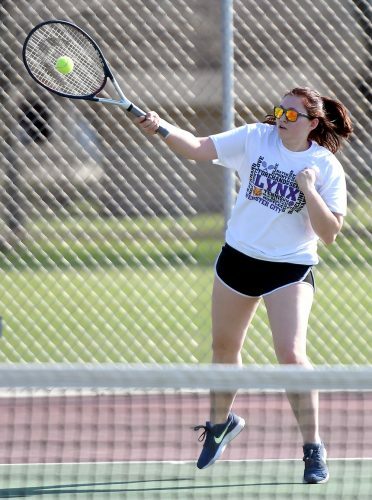 ALGONA — It was one for Ashlyn Hay and one for Zoey Woodle in their friendly rivalry between Webster City teammates here Tuesday evening. 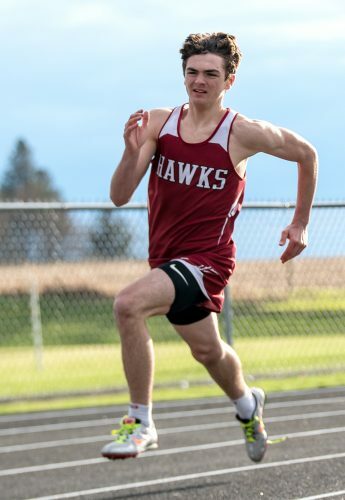 Hay bested her teammate in the long jump and Woodle got the better of the match-up in the 100-meter dash, as they were the Lynx primary points producers at the Hannover Relays. 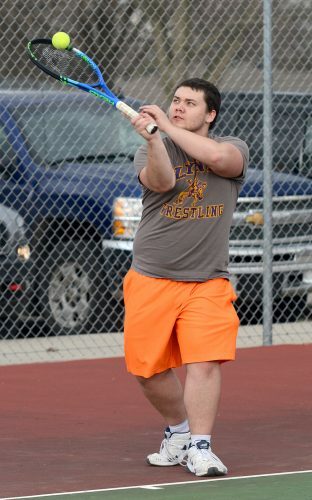 WCHS compiled 75 points to place fifth behind team champion Humboldt (1851⁄2), runner-up and host Algona (163), Manson-Northwest Webster (1001⁄2) and Garrigan (98). Hay captured the long jump gold with a new meet record leap of 16 feet, 7 inches. Woodle was the silver medalist following a best jump of 16-11⁄2. In the 100, Woodle (13.55 seconds) edged out Hay (13.66) for second. It was an all-silver evening for Woodle, who was also second in the 200 (28.13) and as part of the 4×100 relay (53.83) alongside Hay, Tatum Goings and Alayna Finucan. Lexi Nichols joined Hay as a bronze medalist. Nichols cleared a season’s best 4-101⁄4 in the high jump. 1. Humboldt 1851⁄2; 2. Algona 163; 3. Manson-Northwest Webster 1001⁄2; 4. Algona Garrigan 98; 5. Webster City 75; 6. Clear Lake 54; 7. Lake Mills 46. Long Jump — 1. Ashlyn Hay 16-7 (Meet Record); 2. Zoey Woodle 16-11⁄2. High Jump — 3. Lexi Nichols 4-101⁄4. Shot Put — 11. Hannah Brandt 27-33⁄4; 13. Allison Carr 24-9. Discus — 10. Brandt 73-9; 14. Carr 59-4. 100 Meters — 2. Woodle 13.55; 3. Hay 13.66. 200 Meters — 2. Woodle 28.13. 1,500 Meters — 6. Jacie Crutcher 5:52.26. 3,000 Meters — 4. Crutcher 12:49.78. 100 Hurdles — 10. Nichols 19.80; 11. Jesslyn Messerly 20.55. 4×100 Relay — 2. Webster City 53.83 (Tatum Goings, Alayna Finucan, Hay, Woodle). 4×200 Relay — 4. Webster City 1:59.14 (Goings, Hay, Marah Range, Kamryn Pruismann). 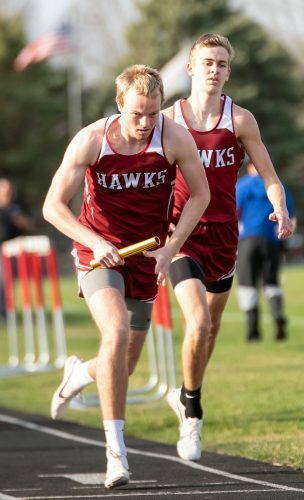 4×400 Relay — 7. Webster City 5:15.31 (Nichols, Brynna Croy, Crutcher, Carr). Shuttle Hurdle Relay — 6. Webster City 1:23.31 (Nichols, Messerly, Goings, Croy). Sprint Medley Relay — 6. Webster City 2:10.19 (Goings, Finucan, Pruismann, Croy).